What are the Latest Social Media Tips and Tricks? The story of bacon and eggs is a great way to learn the power of a sound bite in your marketing strategy. They asked for social media tips. I gave them bacon and eggs. Thousands of Online Marketers come to Las Vegas last week for PUBCON, A conference for webmasters, SEO (Search Engine Optimization), Social Media and Internet businesses. Most years, I’ve asked to talk on a panel about the latest social media trends. They are expecting tricks and tools, but this time I gave them more. Many of the sessions were about Twitter and Social Media.. and how to make them work for business. In one session, “Latest Trends on Twitter,” I shared my thoughts about what make Twitter work so well in the new world of marketing and a step by step approach to getting your message out today. I told them about Edward Bernays, the greatest marketer of the 20th Century and the 3 steps for making a message spread. Bernays is the guy who invented Public Relations. Before Bernays, we called it propaganda. Propaganda wasn’t a negative term until much later. In fact, Bernays wrote a book Propaganda in 1928 long before the Nazi’s gave the word a bad name. 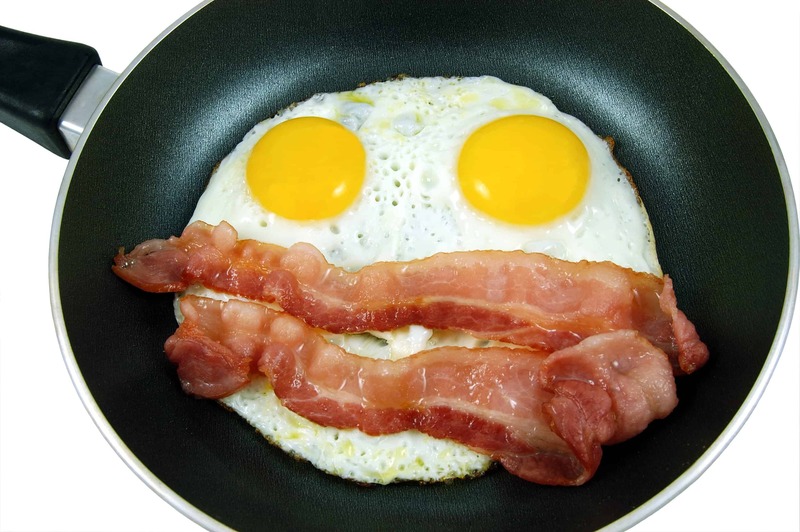 In 1929, Bernays placed article in newspapers from his Middle America Information Bureaufeaturing quotes such as “Doctors recommend that Americans start the day with a hearty breakfast such as bacon and eggs.” Before that, this popular phrase didn’t exist. Today, one might question the health benefits of that statement, we won’t discuss that here. What’s important to our study of marketing messages is that the simple idea of attaching bacon to the more popular eggs and creating a short, memorable, easily repeatable phrase has worked over an over again. Twentieth Century media was broadcast. Companies with money to buy enough advertising would use it to create the popular slogans and products we talked about. In the Twenty-first Century, we’ve got a fragmentation of the old media and many channels that connect person to person without a centralized middleman (ie the publisher or broadcaster) and everyone can create and choose their own messages. It’s much, much more expensive to try to buy your way into popular culture, which makes crafting your sound byte more important. Today, more than ever, it’s vital that you distill your message into a short meme that can be shared. A sound byte version that is consistent and repeatable. Once you have a sound byte, you next work on finding groups of people who are already having a conversation about your topic. In the past 15 years, millions of web sites, special interest forums, niche blogs and personal web sites have been created and recently, Facebook and other social media have allowed anyone with any interest to connect and identify themselves. The cost of connecting is essentially zero, so there is no longer a need to trust a centralize authority (big media) to decide what message gets spread. You can create your own community from scratch, but the leverage of connecting with thousands of existing groups and communities will work faster. Their structure will be stronger and is now the best means to share your sound byte. Once you have a sound byte and engage with the conversations online, the third step is one that often frustrates marketers trained in the 20th Century… you must count on serendipity to succeed. Serendipity is not “wishing for good results”… rather, it is the essence of tapping into the market power of trillions of individual conversations going on right now. The science of chaos theory tells us that random events are extremely difficult to predict on an individual basis, but very dependable when grouped together. You use serendipity every day. One example of our dependence on chaos and serendipity is a water faucet. It would be impossible to predict the flow of one drop of water from the faucet into your glass (will this be the drop that splashes onto the counter top?) but you can count on the majority of the drops winding up in your glass. Thanks to the extremely low costs of producing and sharing media today, you can share your meme (sound byte) over and over, through text, video, audio on blogs, social networks and media sharing sites where conversations are already happening. When your message resonates with the reader, they can easily share it with others in that group, and groups that you don’t even know about. While you can’t predict which message unit will resonate with any of the groups, once you build relationships with these groups and learn their desires, you will begin to improve your odds of resonating and serendipity will kick in.. bringing you success well beyond anything you could have predicted for one campaign. There are still many opportunities to buy your way into a conversation. Advertising a meme that resonates will speed up the chance that it will succeed. (advertising a message that does not resonate will not. It just adds to the noise at best and could even create an backlash). The work of Edward Bernays shows us that the principles of marketing that work best are not new. The media has changed, and the days of multi-million dollar launches over loading us to break into the conversation are pretty much over. The playing field is a level as it’s ever been. My own sound byte version of today’s marketing is “Listen and Love” When I speak about marketing, I tell businesses that the conversation is already going on, then encourage them to listen. Once they really listen to people, they find things they can do to add value and do it (the “love”). Using this approach to creating a meme, then sharing it, is “Listen and Love” on steroids. Once you begin to see the value of listening and responding as you would to help a friend, you will find your sound byte gets picked up and repeated. People don’t want to be sold. They do want to do business with someone they know, like and trust. You can build this trust with an authentic sound byte you spread while you listen and love. The story of bacon and eggs is just one of many case studies from the work of Edward Bernays that we’ll be sharing in a book soon. Let me know if you see value it this method, or would like to know more about marketing this way.